Who can forget the great Hatchimal shortage of Christmas 2016. Easily the most popular toy of the season, everyone seemed to want to get their hands on one and who can blame them. Cute, appealing, and a brand new concept in an interactive toy. 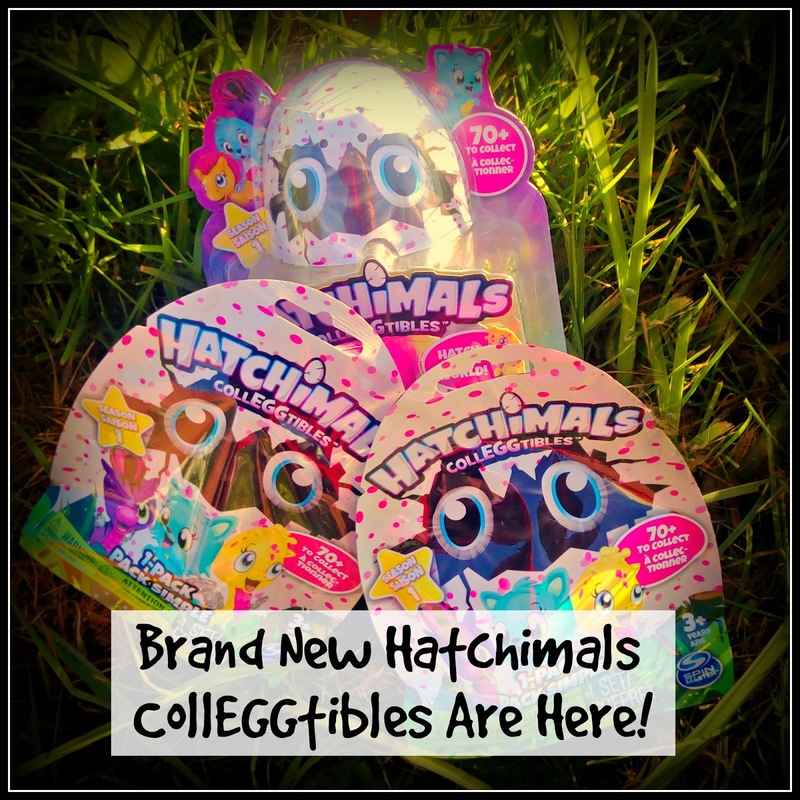 If your little ones loved the original Hatchimal, then they are going to go loopy for the latest addition to the range; Hatchimal CollEGGtibles. These tiny, adorable little critters are exactly what it says in the title, collectible, affordable, Hatchimal miniatures. We were sent some for free to see what we thought, ahead of today's launch, and we've been dying to tell you all about it. Hatchimal CollEGGtibles are designed for small hands and small budgets, with prices starting at just £2.99. The packaging is appealing and colourful and the eggs contained inside are lovely to handle and look really cute. One blind bag (containing one Hatchimal, which is already inside an egg, so it's a double blind bag!) costs just £2.99, a 2 pack and nest will set you back £4.99 (every egg needs a nest) and, for £9.99 you can invest in a 4 pack of eggs, which will also get you a bonus character, which isn't in an egg, so you can see which one it is in advance. Handy, if there's a particular collEGGtible your child has set their heart on. L was very keen to see what was in his blind bag. 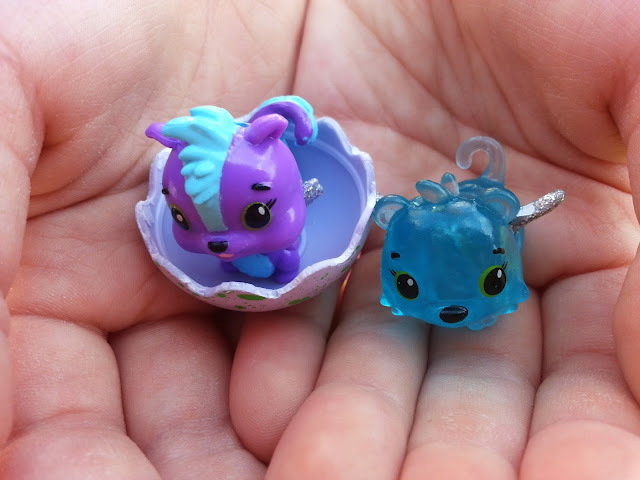 There are 70 Hatchimal CollEGGtibles to collect in this first season, and some are rarer than others. With a whole selection to choose from and the opportunity to hatch rare versions, there is an added dimension to these new pocket money toys. The Hatchimal CollEGGtibles are divided into families and also into common, rare, ultra rare and limited edition. 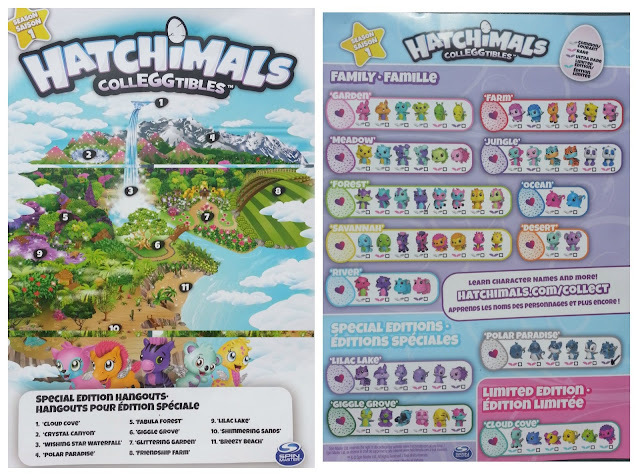 The colour of the speckles on the outside of the egg determine which family the collEGGtible will belong to and you can download a map which gives the names of the different lands within Hatchtopia, where they live. You can tick off each CollEGGtible as you get it from your Collector's List, shown below. In order to hatch the egg, you must first rub the heart in the centre until it changes colour, then gently crack the egg. 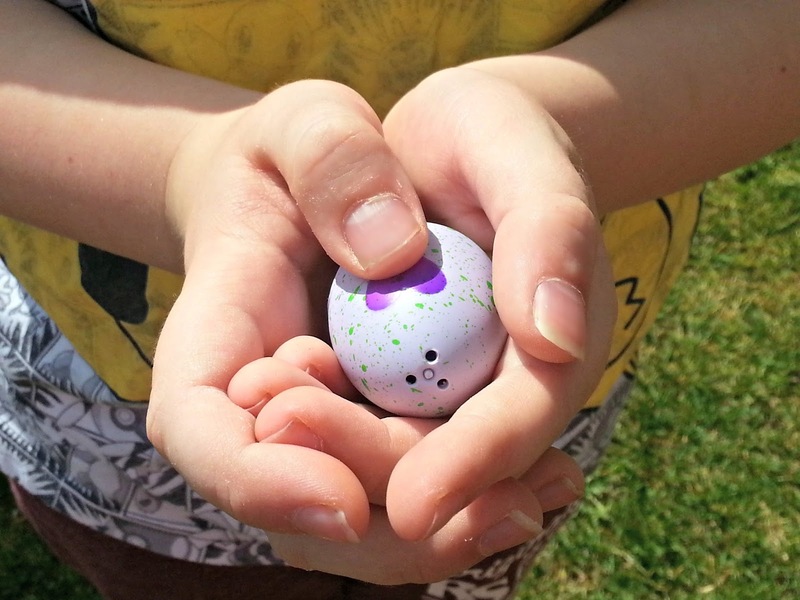 This will leave you with an egg shell, with authentic-looking zig-zag edge, and reveal your very own mini Hatchimal, complete with glittery wings. The first one we hatched from a blind bag was a limited edition Cloud Cove collEGGtible. The second, was a common Forest collEGGtible with a big purple tail, like a squirrel. L likes the idea that they don't come with names, so that you can name them yourself. He called the squirrelish one 'Perky' and the blue limited edition one 'Squirtle'. For me, the most appealing aspects of these toys are their collectibility and small prices. They would make the perfect small gift to give a child in place of sweets or comics, providing much better value for money, as they would last a lot longer, as well as being healthier than sweets. L really enjoyed the prospect of hatching a super rare version, and this added level of anticipation makes them even more fun to open. The other parent-friendly aspect is that they won't take up a lot of space, making them perfect if you are not blessed with a mansion for toy-storage purposes. You can find out more about the world of Hatchimal CollEGGtibles by clicking the link and they are available at all good toy retailers from today, as well as Amazon. With thanks to Spinmaster for providing our Hatchimal CollEGGtibles to review. That's what I loved about them. 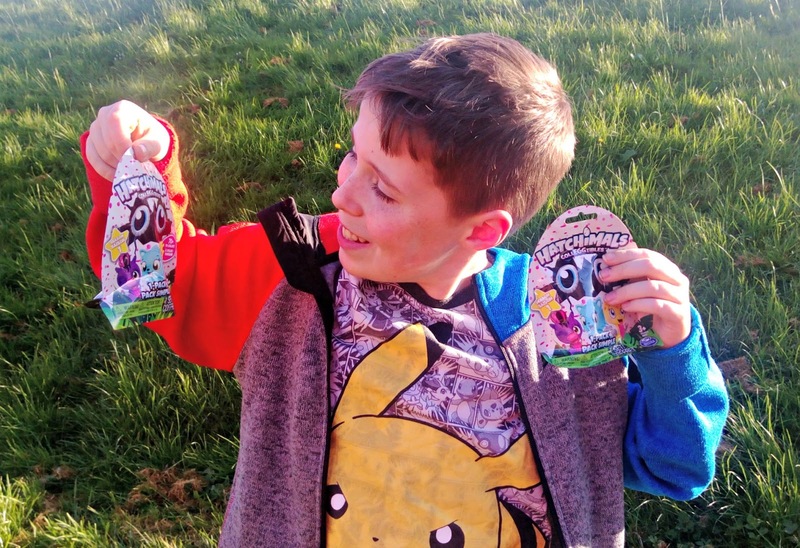 I often have trouble finding things at the right price for pocket money, and children don't always want to save it.